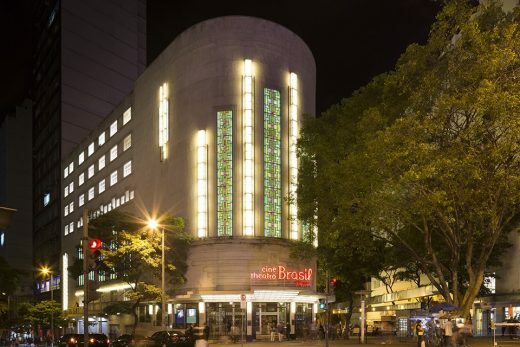 The building once played an important role on the city’s cinema and visual arts scene, and represented a benchmark in the planning development of the young capital. 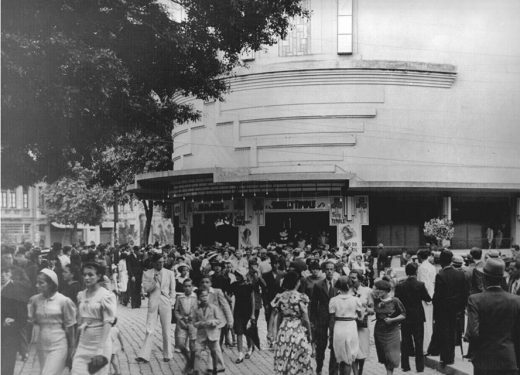 In 1936, it housed the first Modernist exhibition in Belo Horizonte, indicating its vocation for experimentation and life at the cutting edge. The rooms facing the corner streets have been put to several uses, from a popular restaurant to a barbershop – inaugurated by Juscelino Kubitschek – and traces of this history linger in its constructive elements. 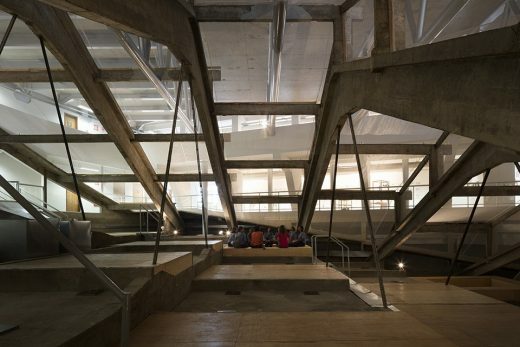 In a recent and awkward conversion of the cinema into a cultural center, a huge ballroom was built on the old roof, which generated a great architectural void between the sloped ceiling of the audience seating and the slab of the new ballroom. 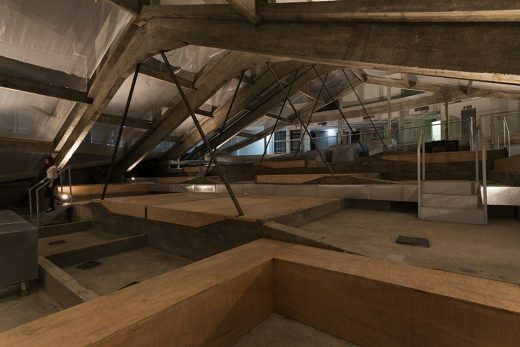 Within this void, the original concrete trusses of the roof that once covered the original building have been preserved. 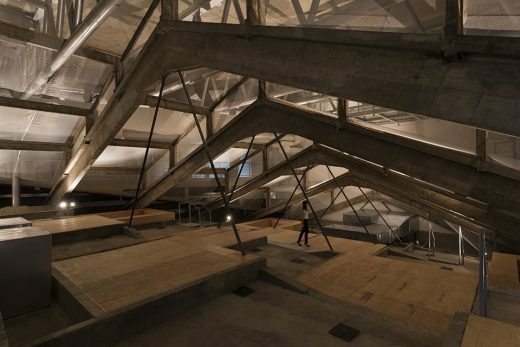 Structural Archeology sought to activate this unused space, coating the roof framework with a translucent screen, and turning the bleak void into an active venue. 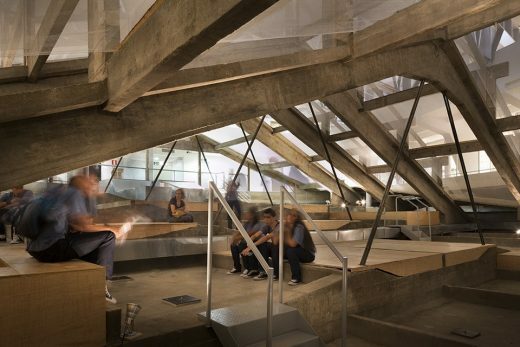 Articulated as an exercise in structural archeology, the proposal revisits and recalls the original 1932 architectural design, and recovers the stepped ceiling which once covered the theatre. 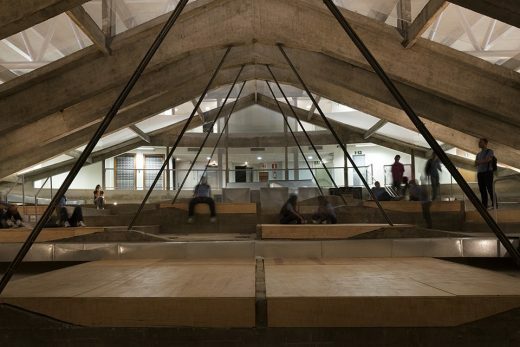 Timber tableaux were installed over the supporting beams, conjuring the experience and the values of a liveable space that now works as an enabler of events. 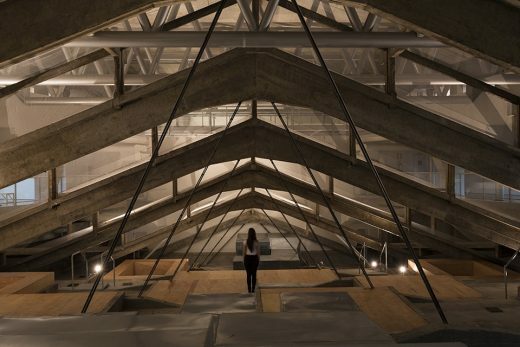 The exhibition rooms now integrated with the cultural center express the building’s layers of memory, either in the concrete trusses that run like exposed vertebrae through the roof, or in the varied designs of the floors, which accompany the erstwhile partitions . 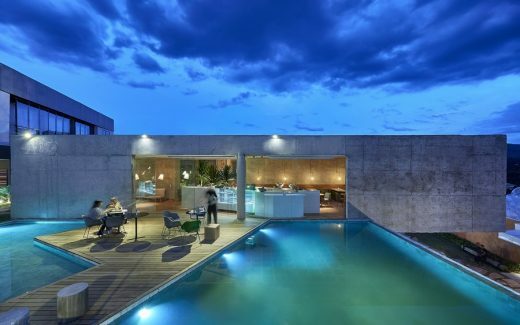 Assuming the presence of these elements as the motto of a new relationship between art, architecture and the city seemed to us the natural path toward conceiving this new exhibition space – and transforming it into an extensive habitaculum that can spill over into the city. Actions and reoccupations will attempt to establish a strong dialogue between the city and its residents/passersby. The overflow trickles over the brim, pours out, spills, and spreads beyond the lines. 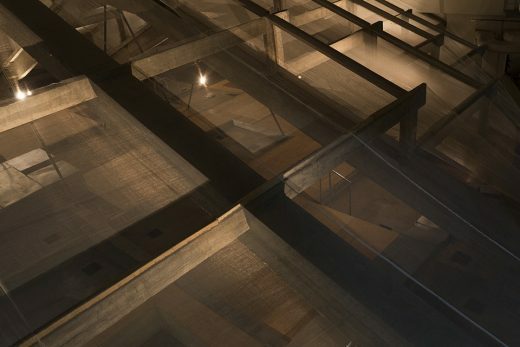 Just like a river breaches its banks, Structural Archeology aims to enable a reconnection between the building and the city.